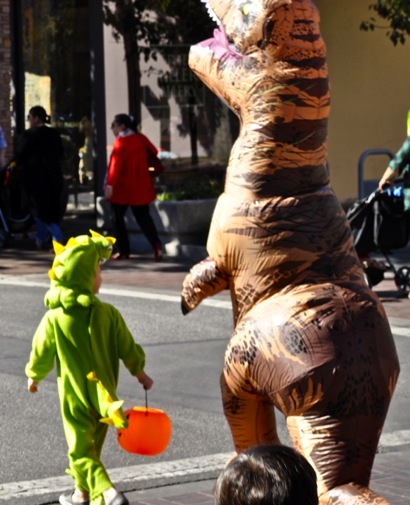 Kids weren’t the only ones showing off their costumes this afternoon at the Halloween parade in downtown Menlo Park. 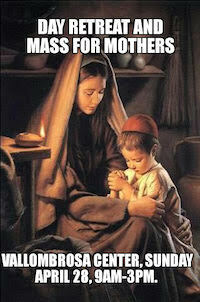 Many of their parents dressed up, too. 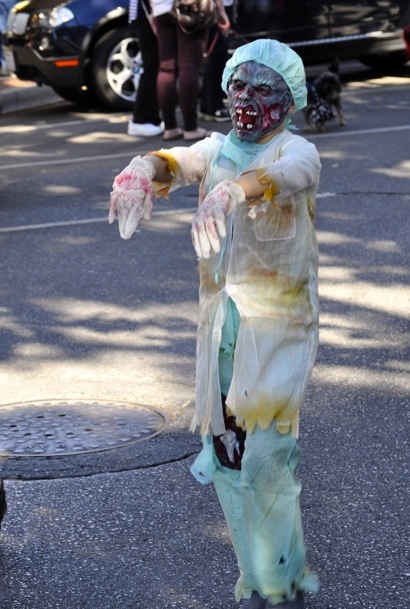 One woman had elaborately painted her face in Day of the Dead fashion. 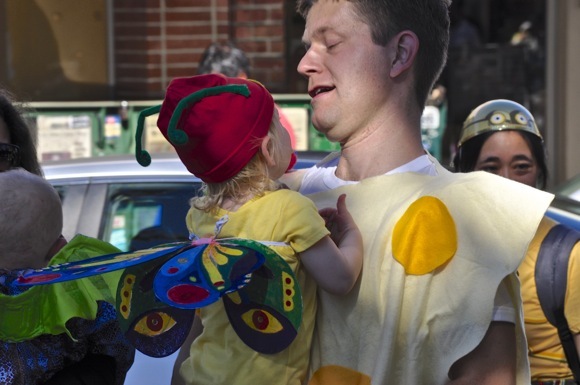 And we’re wondering if Dad is the flypaper catching his insect infant daughter? 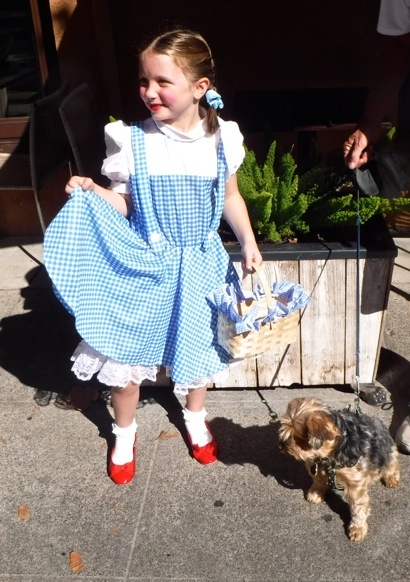 Other favorite faces of the parade follow including a darling Dorothy and Toto.